As She Fades is a young adult novel that explores love, relationships, family and friends. It captures that time in a person’s life when they’re forced to move on from someone because they’re no longer the same person that they were when they met. Set in America, Vale struggles with the decision to venture to college because her boyfriend Crawford is in a coma and it doesn’t look like he’s going to wake up anytime soon. She tries her hardest to live her life, and this includes sparking up a friendship with the mysterious Slate. When people go through a traumatic event in their life, it causes them to reevaluate things. You often hear about people splitting up or people moving house because of a wake up call. 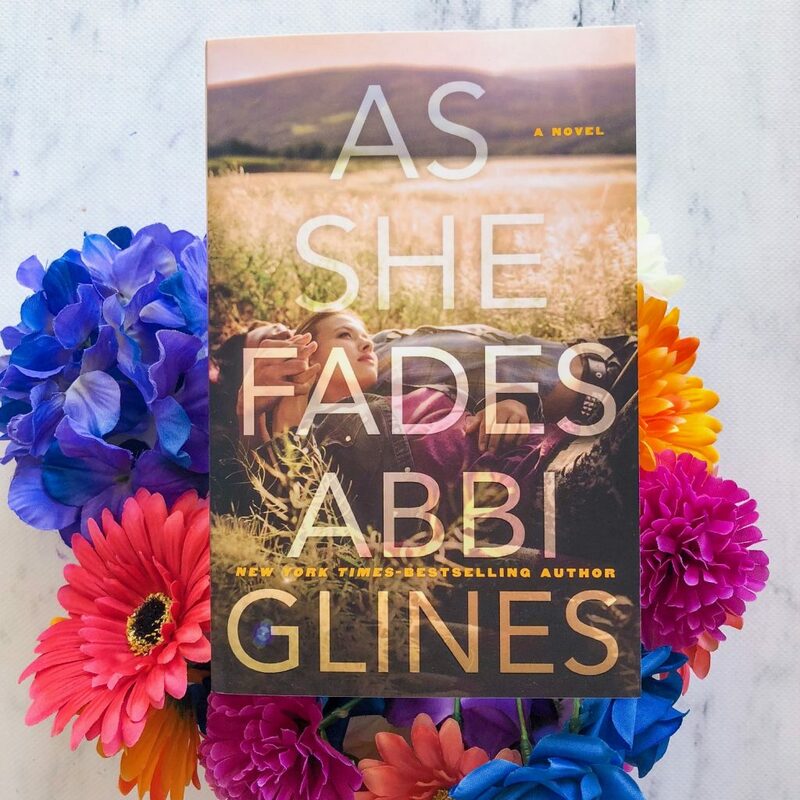 In As She Fades, Crawford’s accident makes Vale realise that their relationship wasn’t as perfect as she once thought it was, and it forces her to really think about what she wants. I think Abbi Glines portrayed this really well. She illustrates how the trauma affected both Vale and Crawford, and how their relationship needed to be reevaluated. These may be teenagers, but I think adult readers would be able to relate to this situation. The novel is separated into two parts, with a really surprising twist that completely upturns the plot. It was something I wasn’t expecting, but it was something I found refreshing. Too many novels follow a stereotypical structure and storytelling, but As She Fades genuinely stumped me with that twist. Vale is a considerate teenager who is quite self-aware. At times she’s too self-aware, considering how young she is. This novel is quite heavy with internal dialogue, but I think that’s important given what Vale has been through. I really loved Slate. I found him mysterious, but also funny and intriguing and engaging. I was completely sucked into his and Vale’s budding relationship, and I found myself desperately turning the page to find out what would happen with them. The pacing in the novel is inconsistent. The first half of the novel — before the twist — is really well-paced, but the second half is too rushed — we didn’t have enough time to adjust to the new direction that the novel was taking us on, and the climax of the story was not realistic. The reader needed time to understand what was happening, and instead we were thrown into the final chapters of the book. Something else that bugged me about this book is that the blurb isn’t entirely accurate. Crawford wakes up but doesn’t remember Vale or their relationship? That’s not what happens, and I can’t explain it too much without giving away that twist. This is a quick read and a book I’d recommend to young readers — tweens would be the perfect readership for this novel. If you love romance novels or stories about childhood sweethearts, then you’ll be intrigued by this story. It has its flaws but I did really enjoy the read, and I read the entire book in one sitting.